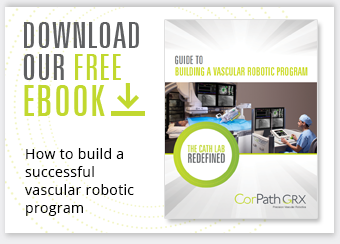 Whether you are just beginning your journey with robotic-assisted PCI or very familiar with The CorPath System, RoboticPCI.com has a vast majority of resources which can help enhance your robotic knowledge. Read about our robotic training centers where you can attend one of Corindus' GRX Live courses, offering peer-to-peer learning with didactic presentations, robotics live in practice or the opportunity to experience vascular robotics hands-on in a unique setting. You can also check out our upcoming events to visit us at a number of medical conferences throughout the year. If you missed us at a past industry conferences, RoboticPCI.com allows you to watch our presentations featuring esteemed interventional cardiologists and seasoned robotic users. Explore key training material to understand the workflow for Robotic-assisted PCI, how our CorPath GRX cassette functions and discover CorPath’s measurement feature. We encourage you to explore the clinical evidence backed by scientific research providing the benefits robotic-assisted PCI offers physicians, patients, staff and hospitals. Our innovative technology calls for the continuous exploration of new frontiers in vascular robotics. We have multiple clinical trials scheduled for this year and beyond. 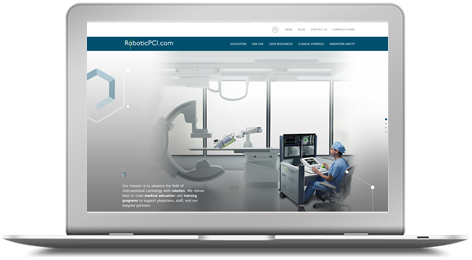 Check out RoboticPCI.com, the website dedicated to robotic-assisted PCI educational resources, and discover the benefits of the CorPath System.